My Little Princess is every girl's dream come true! Design, dress up, and play games with a beautiful young princess! Mix and Match hair styles, outfits, accessories and more to make your perfect little princess! Download My Little Princess today while it's 50% OFF for a very limited time! + INTERACTIVE 3D PRINCESS - Create your own unique fully-animated princess! + PLAY FUN GAMES - You and your princess can play great games like Find the Hidden Star and Royal Memory Match! + AWESOME ACCESSORIES - Give your princess a tiara, a sword, and even magical fairy wings! + BEAUTIFUL CASTLE IN THE SKY - Explore the princess's very own magical floating island! + HD GRAPHICS - Gorgeous High Definition graphics look so real you'll fall in love with your princess at first sight! 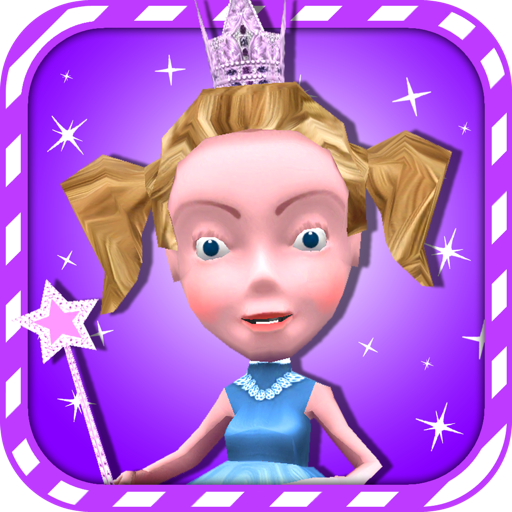 Download My Little Princess to make your little one's fairy tale dream come true! Be sure to check out our adorable Virtual Pets too! Learn math and vocabulary with the Virtual Pet Robot, or snuggle up with the adorable Virtual Pet Kitten!